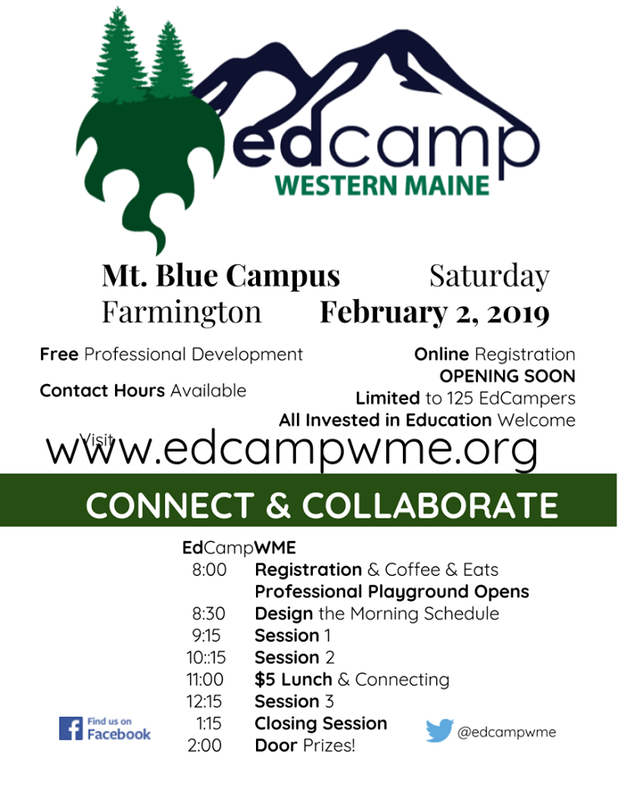 EdCampWestern Maine (EdcampWME) is back for Feb 2nd 2019! Registration NOW OPEN! Register HERE!!! Join us at Mt. Blue Learning Campus in Farmington ME , Saturday, Feb 2nd 2019! An EdCamp is a FREE UN-conference. Can have discussions, demonstrations, etc.